So we are creatures of habit around here. I don’t know if any of you guys are like this but we rotate through he same 10-12 meals pretty regularly. I have talked before about how we always meal plan before we grocery shop, which not only saves money but saves a lot of discussion during the week. We know what we need all week. Now I even meal plan Liam’s lunches since he started school this week! 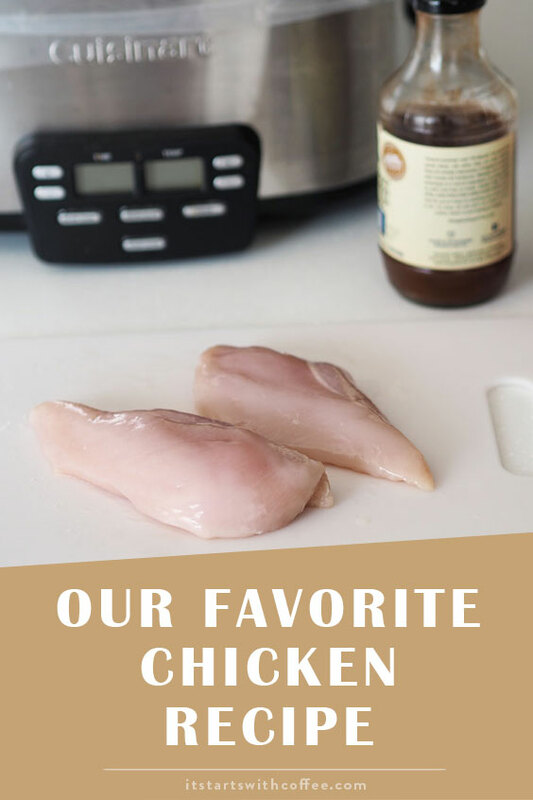 Today I want to share our favorite chicken recipe that we use more than once a week and for several different dishes! 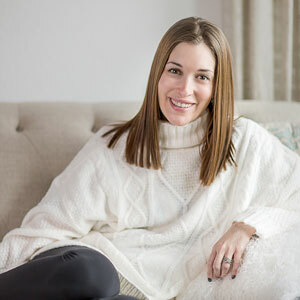 It’s extremely easy and I know you busy ladies (and men) will love it! 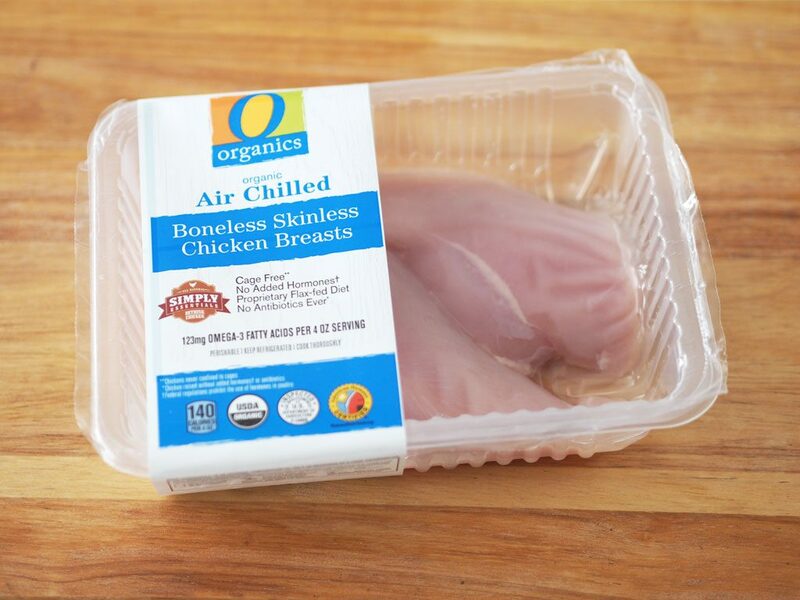 We love the O Organics® Air Chilled Chicken because of how healthy it is and easy it is to use for so many things. It’s also insanely good! 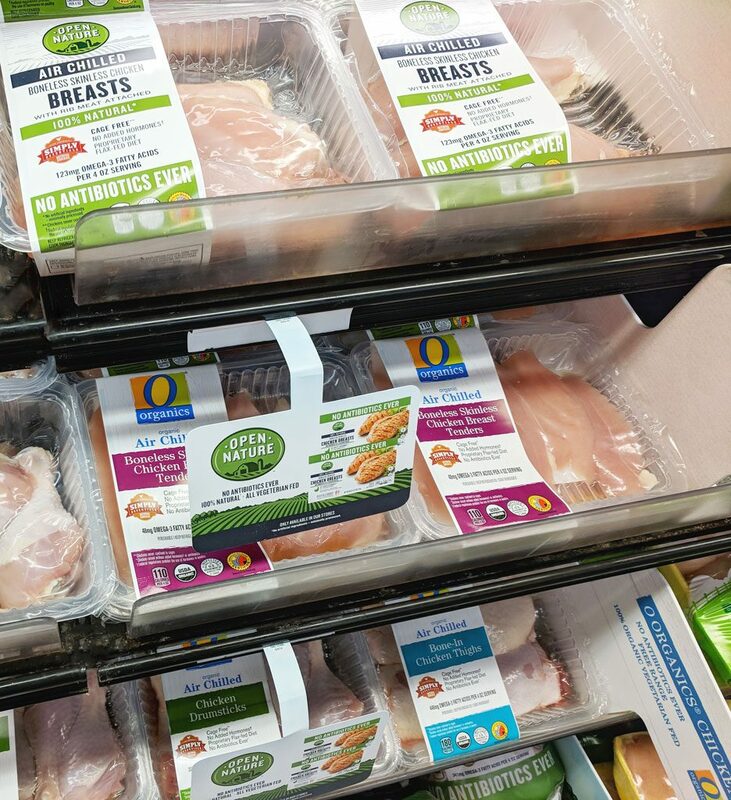 O Organics Air Chilled Chicken and Open Nature® Air Chilled Chicken is available in the DFW area exclusively at Tom Thumb/Albertsons stores. We really gravitate towards things we can use in a variety of ways. Also things that all three of us love and can eat without getting sick of. We make this chicken every Sunday and Wednesday and use it the next few days. Sometimes we make 5-6 at a time. I find for meal prep and planning having great tasting cooked chicken on hands just makes lunches and dinners tons easier. 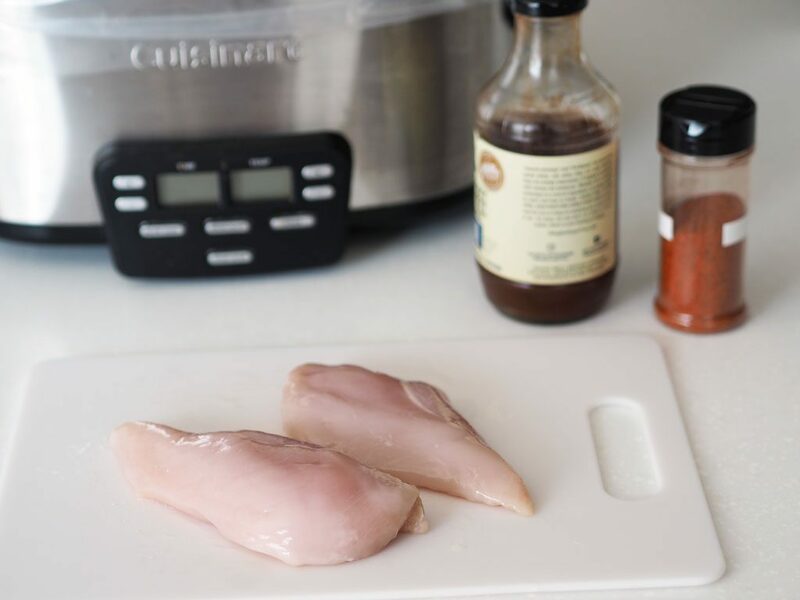 With back to school and life getting busy our favorite chicken recipe comes in handy more times than not! Do you think you will try our favorite chicken recipe? Thank you for this amazingly interesting post. I do love chicken, and it can be used for a variety of meals! Thanks for sharing. Yum! I’ve been grilling a lot of BBQ chicken lately. This is perfect for when it’s too cold (won’t be long!) for me to want to grill outside! Yum! I’ve been grilling a lot of BBQ chicken. But, this will be perfect when it gets too cold to grill outside (won’t be long)! Love this idea! So versatile. Always looking for new ways to change up that old chicken. 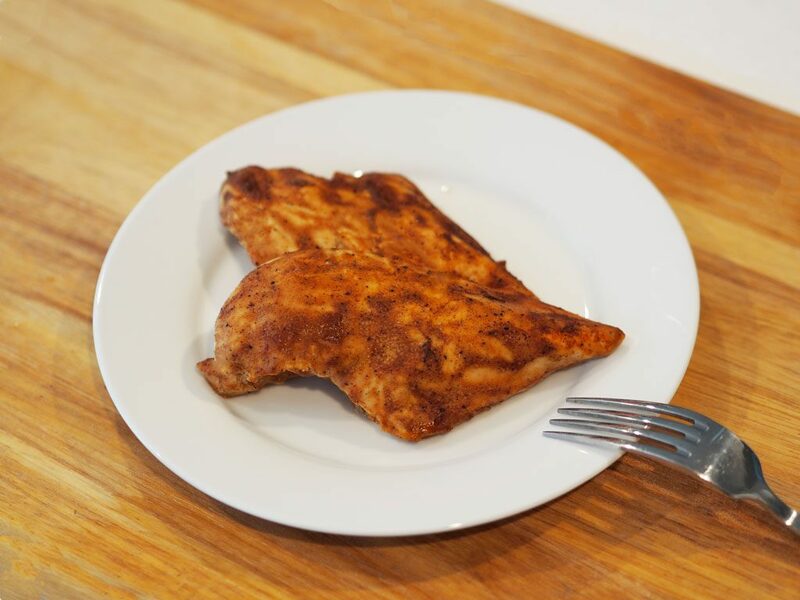 We eat chicken as our protein for almost every meal, I am always looking for new ways to cook it! I have honestly never heard of air chilled chicken and we always buy organic meat. I’ll have to keep my eye out for it! We rotate through the same meals too! This sounds so delicious. I bet it is great on pizza! Can’t wait to give it a try. We have favourite recipes we usually rotate too. And a dish that we could use in different ways is at the top of that list! This chicken recipe is definitely up our alley. Perfect for our salads. I have to say that is one easy recipe! I like that G Hughes BBQ Sauce is sugar free. I’ll have to try it! Nothing better than simple recipes for dinner! And it looks so good. I am all for quick, no fuss recipes. Your chicken recipe fits right in! This is going to be another winner in my family. I love your choice of chicken – air chilled. I will have to look for that brand next time I shop. Same here. We seem to stick to the same basic things for dinner so thanks for a new chicken recipe we can mix in! I love chicken recipes, I don’t eat a lot of red meat anyway. Yum! It sounds delicious, I want it tonight hah. Sounds like a quality product. I haven’t heard of it before but I am going to look for it in the store. Your recipe sounds very easy and the chicken looks delicious so yes…I will be making this soon. Seems so easy! We use a lot of chicken in our household so I’ll be trying your recipe out! I feel like I should have eaten before reading this post, because it made me SO. STINKING. HUNGRY!!! I’m going to be trying this one! This looks delicious and super easy! I’m always looking for a good chicken recipe. Thanks for sharing! Yum! This looks completely delicious! YUM this looks delicious! Will be trying this out sometime soon! I Just love the chicken recipe. Going to try yours. thanks. Looks so delicious and very simple to follow recipe. This is very similar to my go-to recipe, which uses Italian dressing instead. But my husband LOVES bbq sauce, so I’ll be giving this a try :). 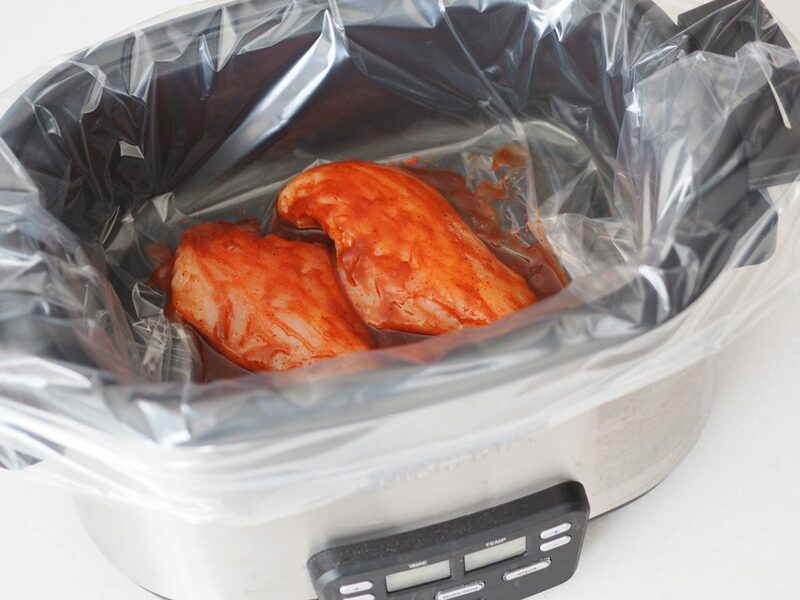 Ooooh, this is one of the best uses for a crockpot on the planet. Have you ever tried it with pork chops or country ribs? I add a layer of minced garlic before putting the barbeque sauce on. Delicious!